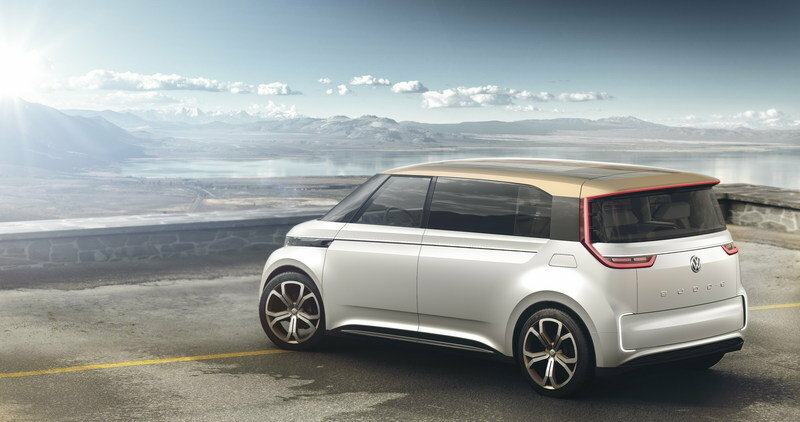 Volkswagen is pushing the envelop of connected cars and smart technology with is BUDD-e concept. The automaker released the high-tech, all-electric vehicle at the 2016 Consumer Electronics Show in Las Vegas. 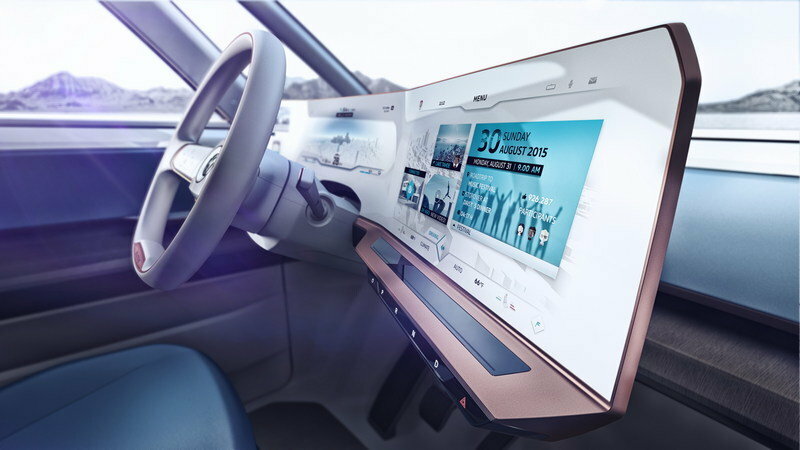 BUDD-e’s debut at CES makes perfect since as the van-like vehicle nearly abandons every traditional concept of modern motoring, replacing it with futuristic hardware controlled via complex software that is fully cloud-connected. BUDD-e is fully designed to work as an IoT vehicle, or Internet of Things. This means it will communicate with objects around it via wireless signals though the cloud. Sound odd? Imagine turning on your porch light via your dashboard when you pulled into the driveway. Or imagine BUDD-e alerting you that the forecast calls for rain and there’s no umbrella in the car. That’s where VW is headed. Besides being a rolling computer, BUDD-e is also a vehicle, meaning it needs a powerplant. That comes via a 101 kWh battery stored under the flat floor that powers two electric motors – one on each axle. The electric drivetrain is said to offer a range of 373 miles on a full charge with a top speed of 93 mph. What’s more, the batteries can accept an 80-percent recharge in roughly 15 minutes. Not bad. 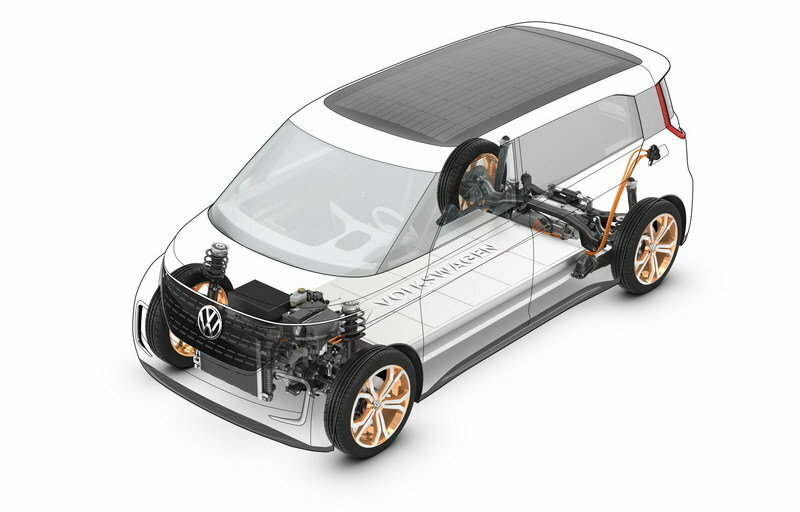 BUDD-e is the first vehicle VW has produced built on its MEB platform, otherwise called the Modular Electric Toolkit. This allows for the unique packaging of the batteries, drive motors, and interior space. 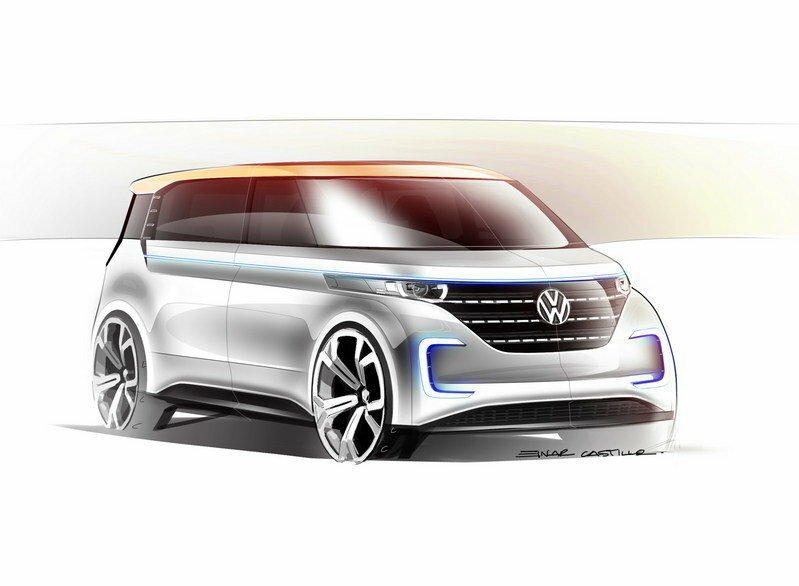 As you can imagine, there’s a lot more to VW’s BUDD-e concept, so keep reading for more. 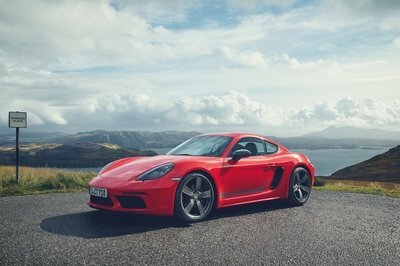 Continue reading to learn more about the Volkswagen BUDD-e.
BUDD-e has a very unique design, that’s clear, but a few details recall VWs of the past. That’s mostly seen in the grille’s shape, large windshield, A-pillars, and flat roof that are reminiscent of the old Type 2 Bus. 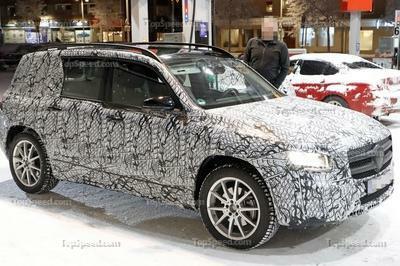 Of course, the modern touches are seen in the LED headlights, taillights, and 21-inch wheels. LED lighting features continue in the backlit VW emblem on the front grille. From the front lights, a large character line runs rearward just under the side windows and across the sliding side door. From the front lights, a large character line runs rearward just under the side windows and across the sliding side door. The line then flows though the D-pillar and onto the tailgate. 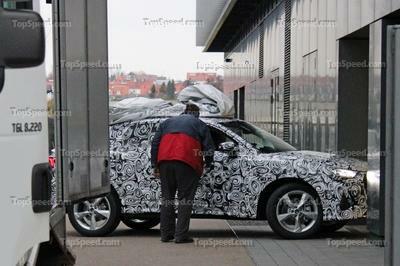 The D-pillar flairs out from the roof, leaving the body of the car, and flowing onto the rear quarter panels. The gab created is said to help airflow move around the car, adding efficiency. More LED lights are found back here, starting at the taillights and flowing up the D-pillars and across the rear spoiler. Smaller, C-shaped lights down low accentuate a specialized area VW calls the Drop Box. VW says the area will act like a mobile mailbox, allowing those with an authorized electronic key to open the box and deposit items like packages. It acts in conjunction with BUDD-e’s IoT technologies. When the car detects it needs new wiper blades, for example, more will be ordered and then delivered to the vehicle itself, being left in the Drop Box by the mail carrier. It’s an interesting concept, but one that won’t likely make production. In keeping with the paradigm shift in thinking, the BUDD-e’s interior is vastly different than anything seen before. It looks as if VW hired J.J. Abrams to recreate the bridge from the starship Enterprise. The clean dashboard design features a white background with copper accents around the corners. Everything is digital, including the controls on the two-spoke steering wheel. Everything is digital, including the controls on the two-spoke steering wheel. Things behind the front seats continue the starship theme. A bench seat mounted to the driver-side wall offers seating for two passengers, while the rest of the floor remains open. The front passenger seat can swivel rearward, allowing the three passengers to converse or perhaps look at the wall-mounted video touchscreen just behind the driver’s seat. Just don’t expect this seating layout to make production. 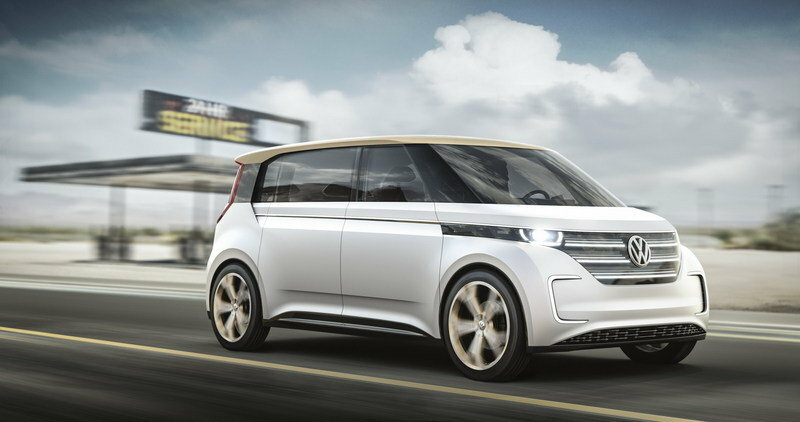 VW has included a slew of futuristic technologies into the BUDD-e controls. Hand gestures and natural voice commands supplement dash-mounted soft buttons. VW says the voice commands will work so well that a passenger can say, “It’s hot in here” and the car will recognize the passenger’s location and adjust that individual’s temperature settings automatically. BUDD-e will also remind you of things you may need. Thanks to a system called “Home-Net don’t forget” and small, specialized stickers placed on desired objects, the car will remind the driver to grab object before leaving. Remember the umbrella example from earlier? If BUDD-e sees the forecast calls for rain and the umbrella isn’t inside the car, BUDD-e will politely suggest the driver grab it before backing out of the driveway. Furthermore, thanks to BUDD-e being an IoT device, if the drive has his home set up accordingly, if a neighbor knocks on his front door, a live camera and audio feed can appear in the infotainment screen, allowing the driver to converse with the guest while traveling down the highway 100 miles away. These are only a few examples of the vast array of possibilities conceivable with an IoT-enabled vehicle. 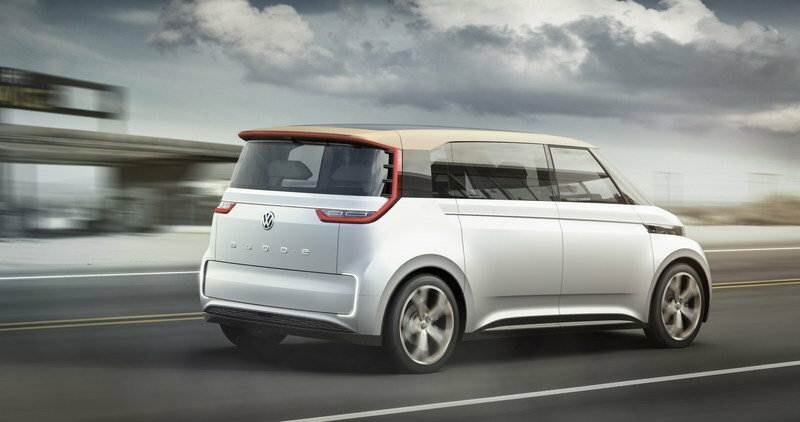 The BUDD-e concept rides on VW’s new MEB platform that’s designed for fully electric plug-in vehicles. The 101 kWh lithium-ion batter sits under the floor and between the wheels for a compact layout. 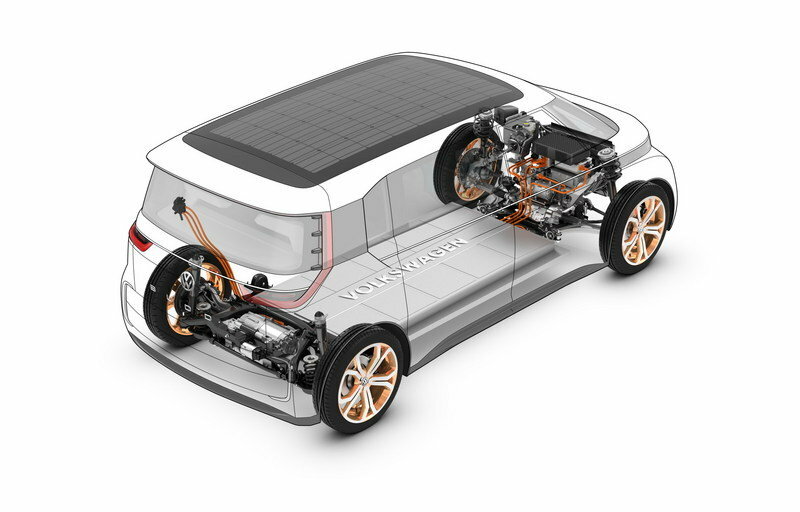 The dual electric motors send power to both the front and rear axles, giving the van AWD. VW hasn’t announced any horsepower or torque specs yet, but does expect a range of 373 mile on a single charge. 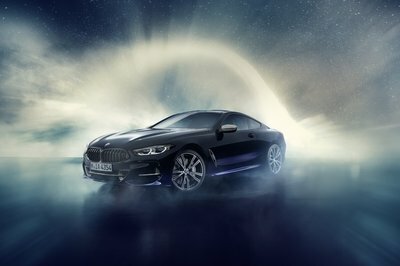 Once depleted, the car can be recharged to 80 percent within 15 minutes with the post powerful recharger option, giving the BUDD-e concept a more traditional feel during “refueling.” BUDD-e is also capable of wireless induction charging. 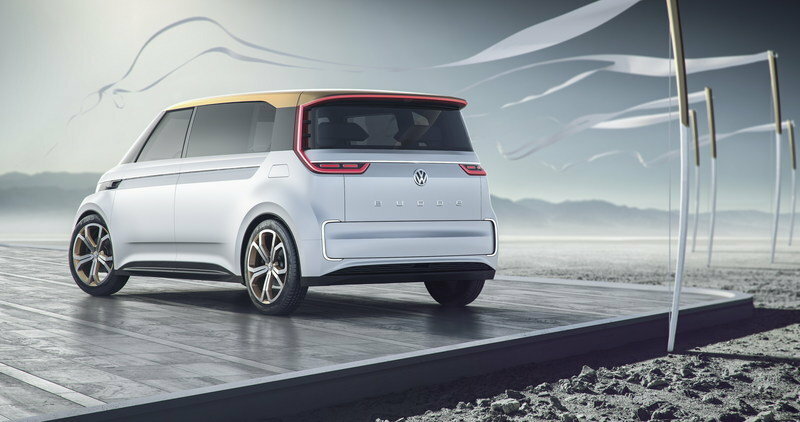 Volkswagen doesn’t expound on the BUDD-e’s drivetrain too much, suggesting much of it is still in the concept phase, along with the rest of the vehicle. Still, this is an impressive leap forward in vehicle and powertrain design. 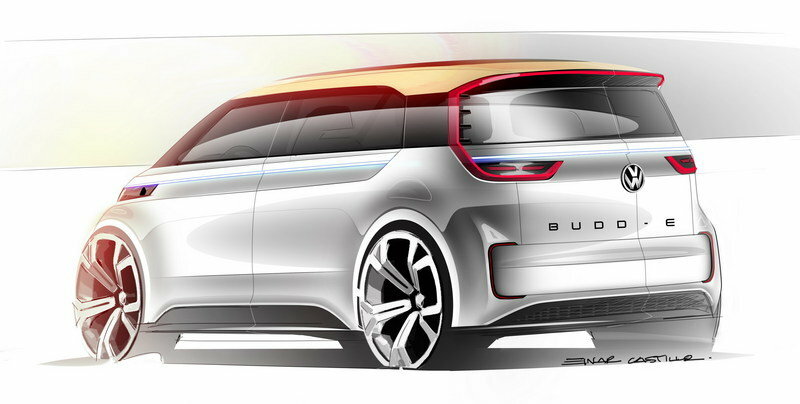 The BUDD-e concept has certainly grabbed our attention. Its retro yet futuristic styling, its game-changing interior, and milestone-shattering powertrain, proves VW can make one heck of a concept. 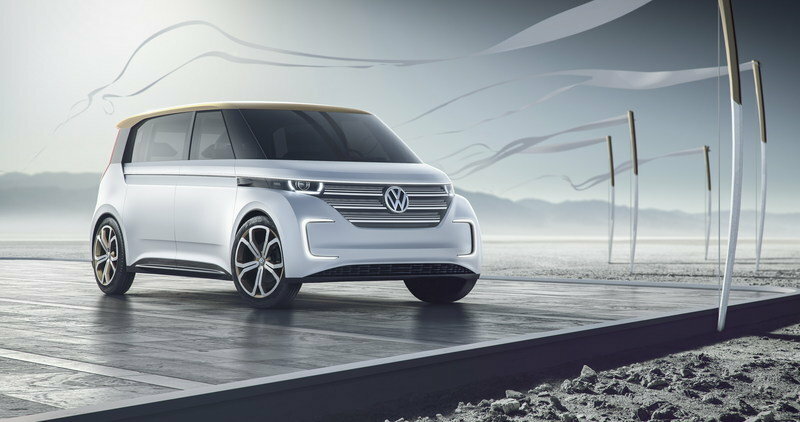 Moving these ideas from the drawing board and concept phase to reality will be a harder challenge, but VW says reality could come as soon as 2019. It’s doubtful all these included technologies will be available by that time, but its easy to imagine a few that will. Consumers in the second decade of the 21st century have whole-heartedly grabbed onto the idea of smart devices and computerized system running everyday aspects of life. I don’t see that slowing down as we prepare for the third decade. 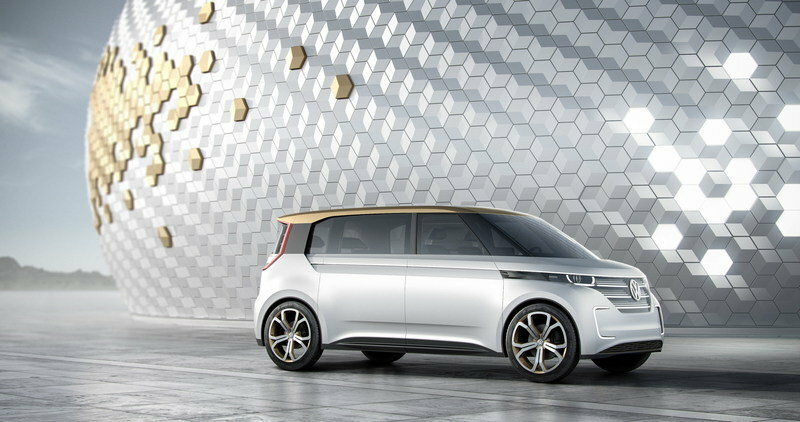 Building on the momentum from the brand’s first appearance in 2015, Volkswagen is opening a new gateway to the future at the 2016 Consumer Electronics Show (CES) in Las Vegas. The time machine in this case is a zero-emissions, avant-garde van dubbed BUDD-e. This is the first vehicle based on the all-new Modular Electric Platform (MEB) that is designed specifically for plug-in vehicles. 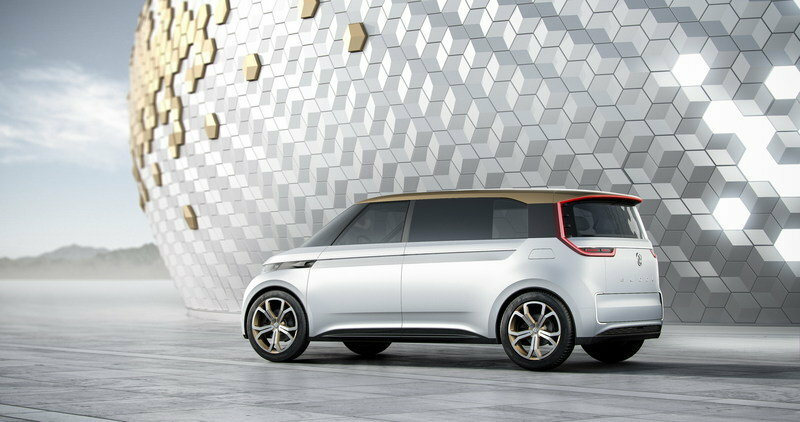 With a range of up to 373 miles coupled with a charismatic, iconic design, this vehicle successfully incorporates Volkswagen’s heritage while providing a glimpse into the brand’s future.